Welcome to WNYC's SchoolBook. 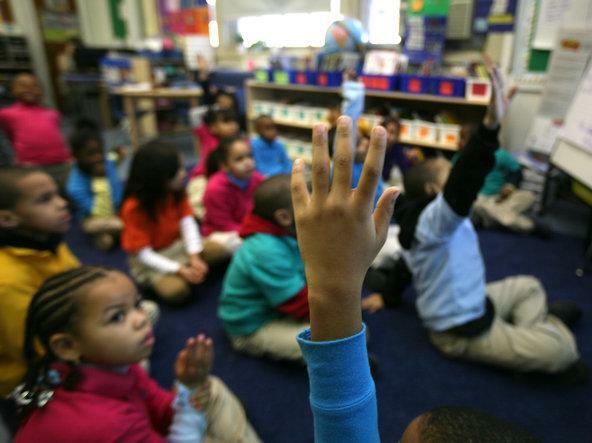 Our site is dedicated to news, data and conversation about public schools in New York City. It's really SchoolBook 3.0 because we have updated some key features to better help you make sense of the NYC school system -- the largest and possibly most confusing in the nation. Our newly revamped search tool guides you to the best school for your needs, lets you compare schools and shows you the most important data about each school you're considering for your child. Find average test scores, class size, school demographics, safety scores admission details and more. Information is available in English, Spanish and Chinese. And it's mobile friendly for those of us glued to our phones and tablets. Check it out here. Online and on the air, our local news team continues to cover top education stories, enhanced by programs like the Brian Lehrer Show and NPR. You can learn about the policies, the politics, the players and debates right here. And when another news outlet has something worth sharing, we will link to it so that our readers stay in the know. We also will feature Viewpoints from engaged members of the education community and seek out more principals to participate in the Principal’s Office. To stay in the loop, follow us @schoolbook on Twitter and on Facebook at facebook.com/schoolbooknyc. You can also leave comments on our site or send your thoughts in an e-mail to schoolbook@wnyc.org. Another new feature: an email service that guides you through the application process. There are key moments in a family's life when it is essential to understand the school system and find the best school for your child. We're starting with middle schools but we plan to expand soon to elementary and high schools soon. WNYC's SchoolBook is here to help, with weekly tips and links. To sign up, click here or go to the home page and look along the right-hand column. We seek to offer a blend of news and best practices. Opinions and facts. A student’s view on a policy, an educator’s tip on how to do the job better. And we will continue to count on you to weigh in, talk to each other, share information. After all, the other key component of SchoolBook is conversation. We hope you interpret that broadly. Write to us, for us, about us. Read our posts. Study the data. Analyze the explanations. Ask a question – or answer one. Propose an idea. Share tips and advice. Send us feedback. And tell us more about your schools. One thing we’ve learned: the school system offers an amazing perspective on the people of New York City, their resilience, challenges and growth. We look forward to growing with them. Patricia Willens is the editor of education coverage and youth reporting efforts at WNYC. You can follow her @pwillens on Twitter or email her at pwillens@wnyc.org.